Nutrisystem’s easy to follow meal plans have helped millions lose weight and lead healthier lives. Its key to weight loss? Six small meals, spread throughout the day, to leave you satisfied and keep cravings at bay. 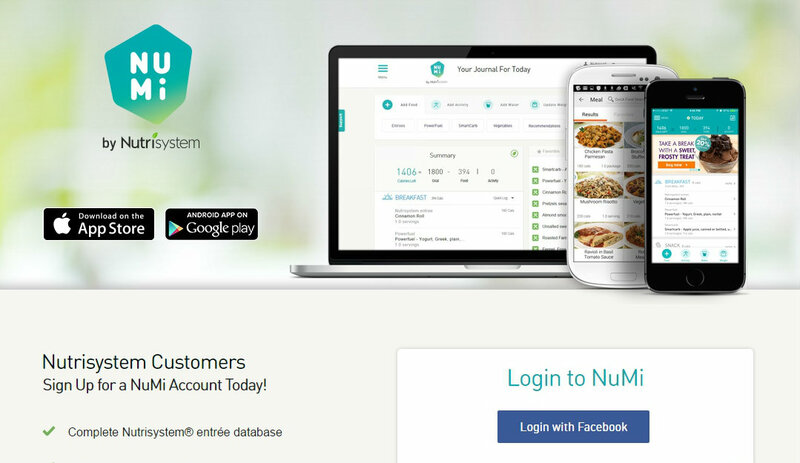 Nutrisystem offers an entirely different way to view your daily intake of calories. Rather than snacking less, Nutrisystem encourages you to eat small portions and often - as many as 6 meals a day including snacks. Meals are planned by nutritional experts, and if you don’t lose weight in the first 14 days, just ask for your money back. Simple as that. Nutrisystem works because it is portion controlled, nutritionally balanced, and it doesn’t make you feel like you’re missing out on treats, snacks or the foods you love. The plan also includes guidance and support from weight loss coaches, registered dietitians and even diabetes educators. All plans align with national guidelines for fat, saturated fat, trans fat, sodium, carbs, fiber, protein and sugars. Nutrisystem’s 4-week basic and core plans include Turbo13 - meals, shakes, and bars created to jumpstart your weight loss by activating your metabolism. The Nutrisystem plan involves eating more than 3 times a day, and this includes snacks and shakes as part of your balanced meal plan. Snacks include food we typically associate with diet plans, such as fruit, yogurt or nuts. But with Nutrisystem, they can also be cakes, cookies, pretzels and ice cream! Snacks start under $2 and can be bought à la carte. Whichever plan you choose, you’ll be able to decide between a favorites pack and a custom menu. The only exception to this is the Basic Plan. As the cheapest option, it doesn’t allow the same level of flexibility for meal choices. Choose your preferred meal plan, and you’ll immediately be taken through to a checkout page. Here, you can sign up for Nutrisystem by filling out your height, weight, gender and goal weight. Picking a menu is also really simple. The food options are displayed on the screen, and a counter on the top right shows you how many meals are left to pick. Nutrisystem has over 150 menu items to choose from, so you won’t get easily bored with the same foods. Portions are small, and users are encouraged to eat often, so variety is important. There are 3 types of shakes which can be ordered—Chocolate, Vanilla, and a mix of both. Sweet snacks include chocolate bars, ice cream sandwiches, cookies, and cakes. There are also savory snack choices such as crisps, pretzels, garlic rounds, nuts, and salty snack mixes. Some of the lunch options might surprise you, as they include some more traditional snack foods such as granola bars. There are also more filling options like wraps, tortilla soup, broccoli rice and four cheese melt. Dinner options are varied, with pasta, pizza and risottos all on the menu. Nutrisystem is a great choice for customers who are used to fast food and eating out, and don’t want to lose that kind of cuisine as they try to lose weight. The Basic Plan is the cheapest option, and offers the least flexibility. If you’re happy to sit back and let Nutrisystem manage your meal plan for you, Basic is a great choice. It is a 4-week plan with free shipping, and starts at $9.96 per day. If you’re looking for a bit more flexibility, try the Core Plan. It includes support from weight loss experts, as well as the tracking tools to be sure you’re staying on target. The plan starts at $10.68 per day. The 3rd option is called Uniquely Yours, and includes everything in the Core Plan, as well as over 150 meals and snacks to choose from. With Uniquely Yours, unlimited frozen foods are included, and you have the ability to mix and match whatever foods you want to create a menu which is perfect for you. It starts at $12.29 per day. The help center at Nutrisystem is known as The Leaf. Customers can browse recipes and articles on weight loss and check out the FAQs to better understand the program. Phone lines are open 7am-12am EST during the week, and for limited hours on weekends. Live chat is also available on the website. Email addresses are given for weight loss consultants, dieticians, customer service and program coordinators. Nutrisystem is an ideal weight loss choice for those who cannot diet without snacking. The method of eating several small meals a day, and the option to buy à la carte snacks, set Nutrisystem apart from other weight loss plans. It’s worth springing for one of the company’s two more expensive plans in order to enjoy wider menu options and the support of Nutrisystem’s weight loss professionals. If you’re looking for results quickly, Nutrisystem’s two-week weight loss guarantee is a good place to start. Nutrisystem is one of the oldest weight loss programs, with its inception dating back to 1972. When Dawn Zier took the helm as CEO in 2012, Nutrisystem began to make a real mark on the industry. It changed the options from a 28-day plan to shorter and more flexible meal plans, including an à la carte menu, and promoting snacks and shakes. The company also made the prices more affordable and Nutrisystem began to shape up as a leader in the weight loss program market.